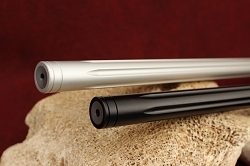 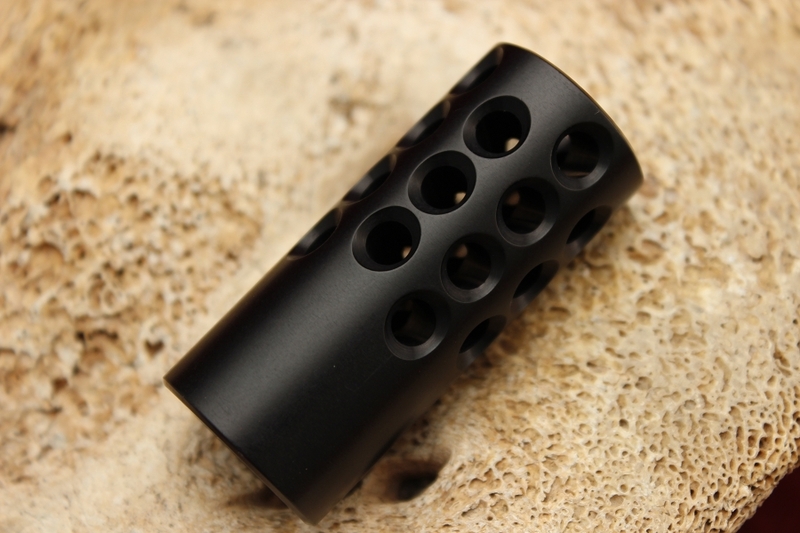 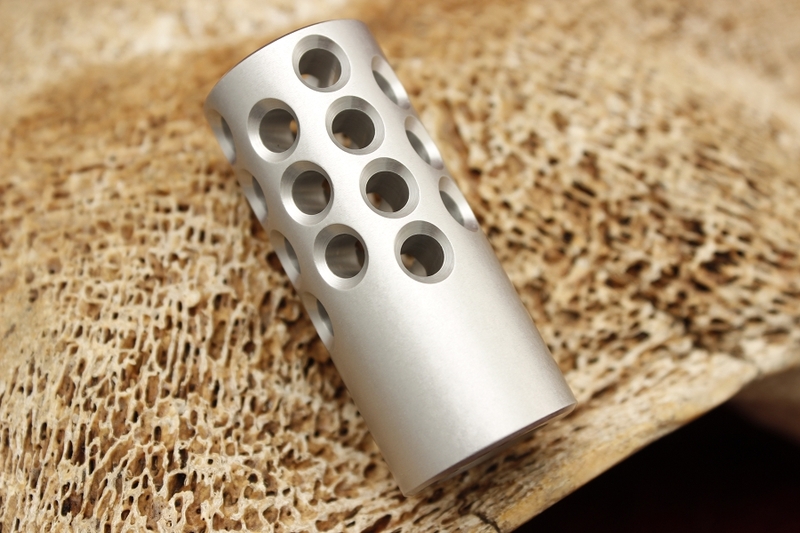 KIDD .22 Aluminum Muzzle Brake .870"
Home > Accessories > KIDD .22 Aluminum Muzzle Brake .870"
The Kidd .22 muzzle brake can be used on any .22 caliber rimfire rifle or pistol with 1/2" -28 threads. 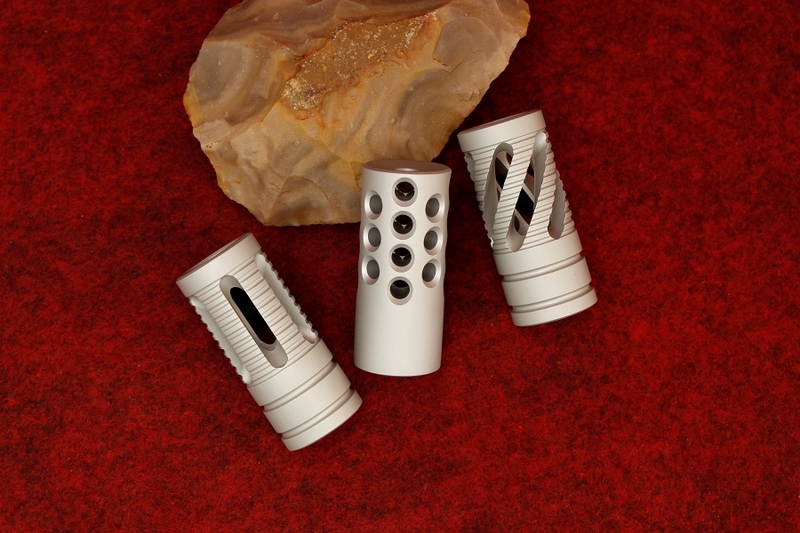 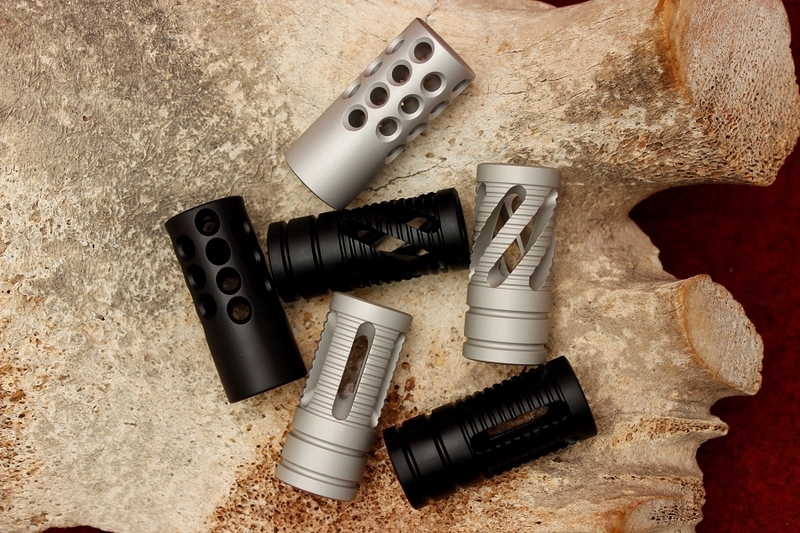 The purpose of a muzzle brake is to reduce the felt recoil of the rifle. 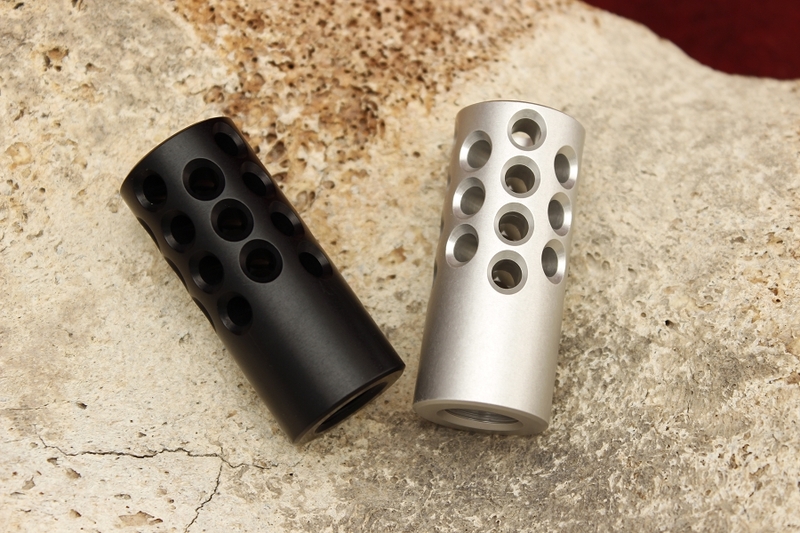 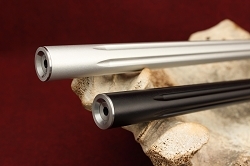 A .22 caliber shot doesn't generate a great deal of recoil for the shooter but this item will decrease it slightly. 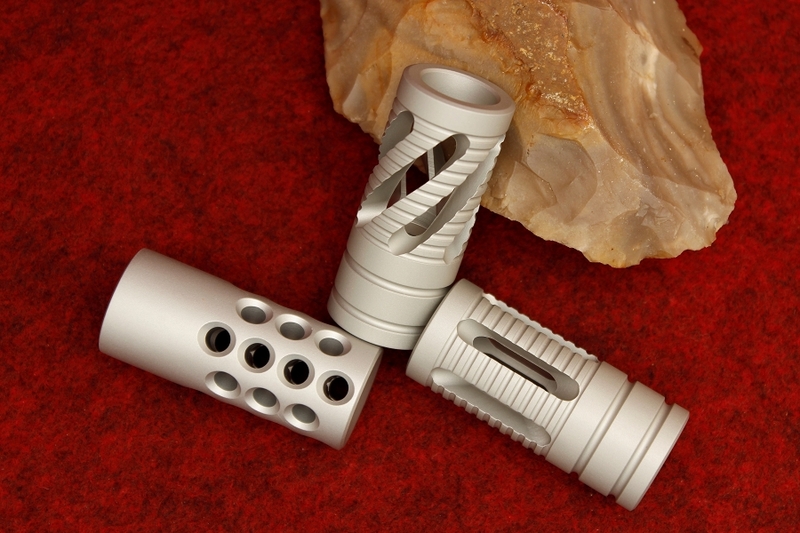 It also adds more weight to the muzzle end and looks great! 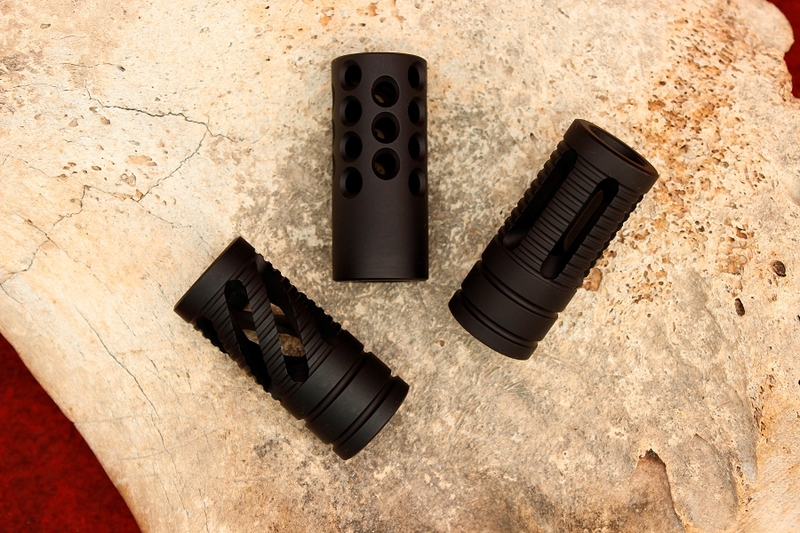 Educational note: a flash suppressor is intended to hide the flash from the target and a compensator or muzzle brake is meant to direct the gases to reduce the upward climb of the firearm.